Winsor & Newton’s Studio Sketching and Drawing Pencil Collection allows artists to enter a world of evocative drawings and sketches that burst with life. 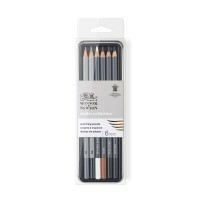 This range features graphite pencils in a broad range of hardnesses, allowing you to combine and experiment with different mark making techniques. 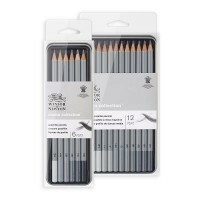 Use these pencils to work in fine detail, create bold and expressive shading or to work with traditional drawing techniques. 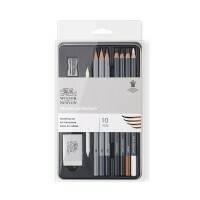 They’re the perfect companion for life drawing, studio work or capturing quick sketches on the go.